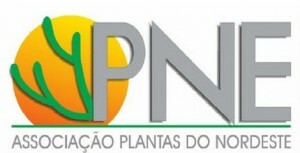 Associação Plantas do Nordeste, APNE, was created in 1994 and is based in Recife. The association’s main mission is to promote the protection and conservation of the Nordeste forests, bring technical support to the reforestation initiatives, contribute to environmental education, support and coordinate research programs. In 2015, the Anne Fontaine Foundation is proud to make a third partnership with APNE, making it active in the State of Pernambuco. The foundation will support for 2 years a reforestation program in order to restore riparian land and to improve water sources. APNE will bring technical assistance, expertise to monitor water and will provide the seedlings. The APNE team will work with 2 local farmers’ associations: Sirigi and Acau de Cima. Thanks to this partnership, APNE will provide the basis for the sustainabily of long-term settlements and compliance with the rural code. The reforestation program will happen on 20 acres and the local farmers will plant endemic species of the Nordeste and rehabilitate endangered species. The goal is to plant 7,000 seedlings by the end of 2016.